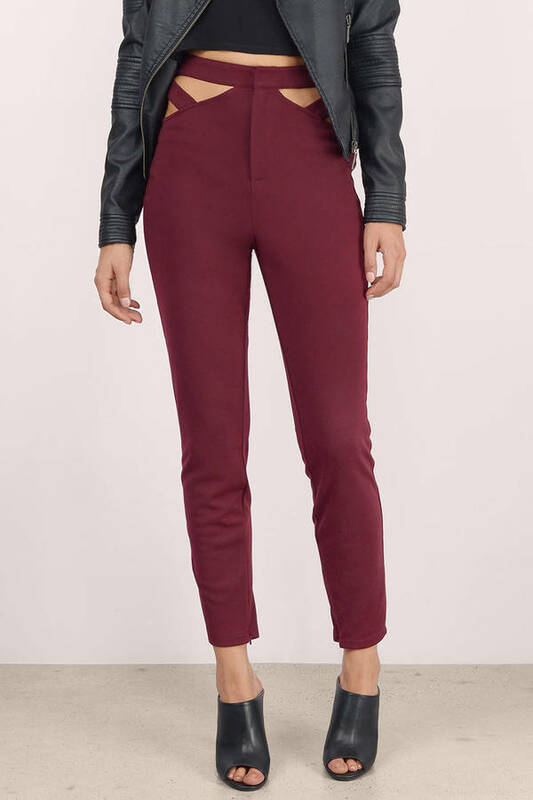 Check out Tobi's Cut It Out Skinny Pants Designed by Tobi. The Cut It Out Pants is perfect to show off skin and curves. High waist, slim fit and cut out for extra detailing. Slim zipper at bottom leg opening. Easily paired with any top. Designed by Tobi. The Cut It Out Pants is perfect to show off skin and curves. High waist, slim fit and cut out for extra detailing. Slim zipper at bottom leg opening. Easily paired with any top.